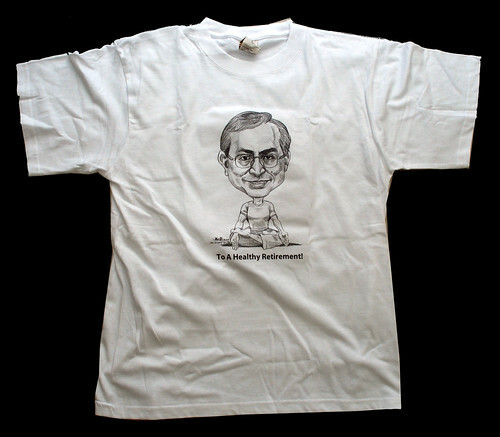 "I would like to do a caricature on a t-shirt as a farewell gift. Not a tough job. 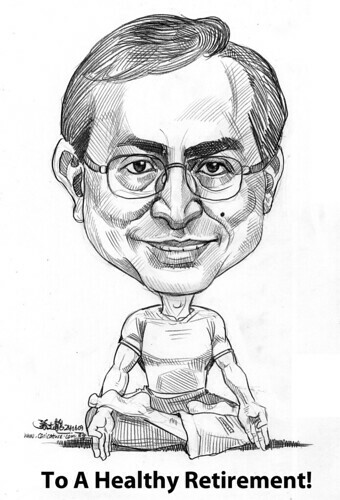 Just need to get the correct Yoga posture, and execute it aesthetically, given that caricature in pencil medium could appear too plain, when printed on T-shirt. Great artwork btw, we like it a lot.